So time again for another Adventure1 race predictions blog, and onto some more familiar ground for me: the Rogue Raid. With 184 competitors surviving to make the 24 hour start line (and we all know making the start line is the hardest part of any adventure race) and another 90 racers in the 6 hour event, this will be one of the largest 24 hour adventure races ever held in Australia. One of the great things about the rogaine format of a Raid race is the fact that the course is essentially achievable by all levels of athlete. As an organiser it is always inspiring to see everyone testing themselves against the challenges which they have set with their own team. In saying that, there is always a degree of interest on the pointy end of affairs, and that’s where we’ll start this blog. Gary Sutherland and Ray Deetlefs on their way to winning the 2012 Rogue. 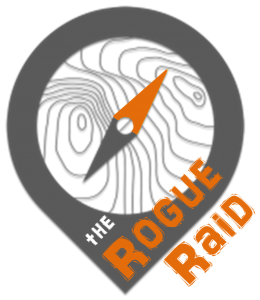 An interesting statistic that was pointed out to me the other day is that, now in its ninth year, a member from every past winning Rogue Raid team will be represented at this year’s race. Traditionally run with just two person teams, 2018 will be the first year that the race will acknowledge four person teams as an official category to accommodate its inclusion in the Adventure1 series. As such, every previous winner has been from all male teams, however I suspect this year we’ll see our first mixed team overall victory. When looking at the main contenders, we need go no further than examining the podium from X-Marathon in January. Team Wild Earth / Tiger Adventure (1) are on a mission this year to take out the title of Australian AR Champions and took out a close fought win at X-Marathon. They hold the advantage at the Rogue Raid being a more “local” Queensland base team. 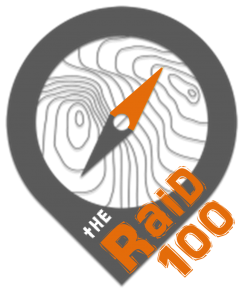 Add the fact that team members Gary and Russ have both won the event twice and Russ has managed to finish on the podium of every past Rogue Raid, they bring a wealth of experience to the particular strategic nuances of this race. The team that Wild Earth are looking to topple for the overall Australian Champion title is of course Thunderbolt (2). Team member Leo has a couple of Rogue races under his belt and this team should never be underestimated. Rounding out the potential podium getters are team Thought Sports (3). Again, blessed with deep adventure racing talent, the majority of the team are making the trip up from Victoria to race. They do, however, hold a secret weapon up their sleeve in the form of Dave Schloss who boasts the enviable statistic of never having lost a Rogue Raid race in his past three attempts, including the inaugural edition way back in 2010. Chris and Michelle from team Rogue Adventure at the 2015 Rogue. Nipping at the heels of these top three teams are a number of other strong and experienced outfits ready to slip in to a podium position. A team particularly dear to my heart – Rogue Adventure (5) – are chasing points in the national A1 series. Formed with a pair of powerhouse couples from Port Macquarie, they are one of the few 2+2 evenly mixed gender teams at the race, with Chris, Michelle and Alison all having won the mixed category of a Rogue Raid in the past. After X-marathon they will definitely be looking to get one back over BMX Bandits (4) who are a consistently competitive outfit and are making the trip up from south of the border. Wild & Co. Tiger Adventure (6) are also consistently improving and will hold some local advantage. Paul Elby from the Peaky Blinders planning his Scatter Raid strategy. Looking away from just the mixed teams, there are a number of other strong teams that are definitely in the mix for a top 10. All male team Peaky Blinders (23) are capable of a top five overall in this field and include 2016 Rogue Raid overall winners Paul and Darren. Team Pretty Flash (24) while not the fastest are one of the best navigational teams in the race and will enter with a wealth of local knowledge. Mountain Designs Wild Women have soaked up some of the state’s top female adventure racing talent and are bolstered by the inclusion of Elizabeth from Victoria. They look like a certain bet for the overall female team title, but the real question is how many of the other teams can they topple along the way? With teams flying in from all over Australia as well as far away as New Caledonia, New Zealand and Singapore, there are a number of very strong pair teams racing that could sneak in a top results as dark horses: teams Tiger Adventure New Caledonia (61) and team Brocann (52) are two examples that come to mind. And in the end, we all know that anything can, and most likely will, happen over 24 hours of adventure racing. Competition in the 6 hour Rogue Raid is a little more wide open with the shorter format being a little less predictable. Expect all male teams Rochedale Runners (101) and Tibby (103) to post competitive results. A full team list for the both the 24hr and 6hr Raids can be found here. Now onto the course itself. For those of you less familiar with the Rogue Raid, the race adopts a rogaine format. Instead of racing a linear course from check point to check point, teams are competing to collect as high a score as possible over a 24 hour time period with each check point worth between 10 and 100 points. This format significantly opens up the strategy and route choice required by teams where navigation and planning are just as important as raw speed. The 2018 course will run out of Lake Samsonvale. This is the first time a competitive kayak event has been allowed on the lake and the race will use a section of the lake that is closed to the general public. Whilst all the kayaking at this year’s race is flatwater paddling, the backdrops are some of the most scenic in south east Queensland. Race HQ is based in an idyllic setting at a private sailing club, with the added advantage that it is less than a 45 minute drive from an international airport and the Brisbane CBD. Being this close to the city, there is a real diversity of cycling with some fast, sealed urban sections through to a number of more technical single track options. The trekking at this year’s race incorporates more trails than past events with the off-trail travel generally being rated as slow. Hills are also more of a feature, certainly compared to the 2017 race for anyone that competed in that event. Grass seeds will not be an issue but there are extensive patches on lantana in certain areas of the course (mostly avoided through course setting) so gaiters are strongly recommended. The 24 hour teams will race over 7 stages with a total of 49km of trekking, 34km of kayaking and 118km of mountain biking for teams looking to sweep the course (assuming no mistakes are made). Sweepable? I’m not sure: time will tell. This is spread over 57 check points with a total score value of 3120 points (I can hear the maths boffins pulling out their calculators now). The 6 hour course is made up of just 3 stages with 22km of trekking, 10km of kayaking and 28km of mountain biking. It’s a pretty safe bet the 6 hour course won’t be swept with 21 check points worth a score of 1120 points up for grabs. An initial big thank you goes out to all the volunteers who have put their hands up to help out with the race, along with event sponsors the Moreton Bay Regional Council. For online spectators at home, we’ll be running a live website updating team’s scores as they come through transition, live GPS tracking of the Adventure 1 teams along with photo galleries, event maps and news commentary from the course. It’s going to be a big one not to be missed.